Without the presence of disease, most healthy individuals are able to maintain normal blood glucose levels without a second thought. But did you know that women are more likely than men to experience low blood sugar levels during their lifetime? In most cases, these incidences of hypoglycemia are not life threatening, and can be corrected by consuming a snack or meal. But why is low blood sugar in women more common, and what are the causes? Compared to men, women are more likely to experience low blood sugar levels during different stages in their lives and for different reasons. Studies have shown out of a group of 10 women, 2 to 3 were at increased risk for hypoglycemia. See this post for info on low blood sugar in women during pregnancy. Fluctuating estrogen and progesterone levels experienced during puberty, menstruation, ovulation, pre-menopause, menopause and pregnancy can cause low blood sugar in women. Sensitivities to this condition can vary between individuals and those prone to experiencing decreased glucose levels are strongly encouraged to record hypoglycemic events by healthcare providers. This information can aid in diagnosing hidden causes such as kidney and liver problems, internal hormone imbalances, and vitamin deficiencies, in addition to raising suspicion about the presence of insulin dependent tumors. Erratic hormone levels can also cause high glucose with or without the ingestion of food. As a result, the risk of accidental overmedication of insulin in women increases. The most likely causes for this situation is overcompensating for elevated glucose levels or timing injections too closely. Seeking guidance from your healthcare provider can help avoid this dangerous situation and bring routinely low blood sugar levels under control. Many women follow an exercise routine to improve health and quality of life. However, with the increasing attention on the effects of obesity and staying thin, some may follow a routine that is unsuitable for their fitness level. Extreme exercise, or the sudden start of an over challenging regimen can cause reactive hypoglycemia. As a result, blood sugar levels fall to abnormally low levels – and the stores of glycogen (stored sugars) are becoming depleted. If attention is not sought immediately, women can progress into a state of moderate to severe hypoglycemia rapidly. Low glucose levels will be experienced by everyone at some point in their life, but women are at increased risk due to hormone and lifestyle choices. However, complications can be easily avoided by eating balanced nutritional meals, being aware of hormonal changes and following appropriate exercise routines. 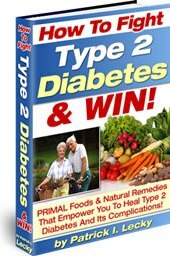 You can see this post for hypoglycemia treatment options.